I got my production Kyosho ZX6 last week. I was pretty excited to get it, because I wasn’t quite as involved as I was with the RB6. I’ve had my prototype car from the Worlds last year, and got a few little parts to test here and there, but not much. I gave them my opinions as what I would like to see, but I didn’t see any drawings of what was going to be production. Today I converted my prototype car to the production car. 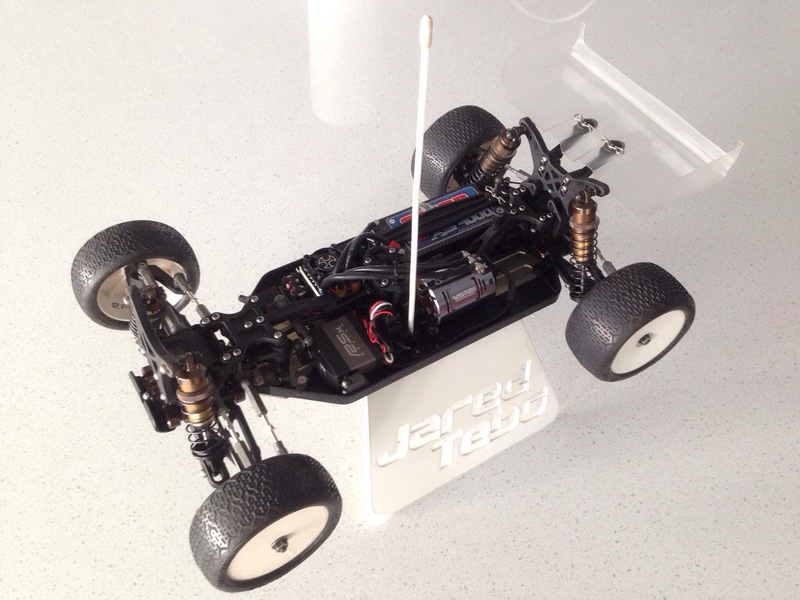 I am very happy to say that I think Kyosho did a pretty darn good job with the car. All the new production parts went together great and I thought the creativity of the parts were good too. New steering system was pretty cool. The narrow chassis with side guards was a great fit. New motor mount was a big improvement and it is very easy to have different configurations for all you tinkerers. Even little things like the new under servo plate and antenna/battery post mounts were pretty cool. I’ve got it all ready to test out at the track tomorrow. I’m pretty excited to drive it with the rear motor configuration. 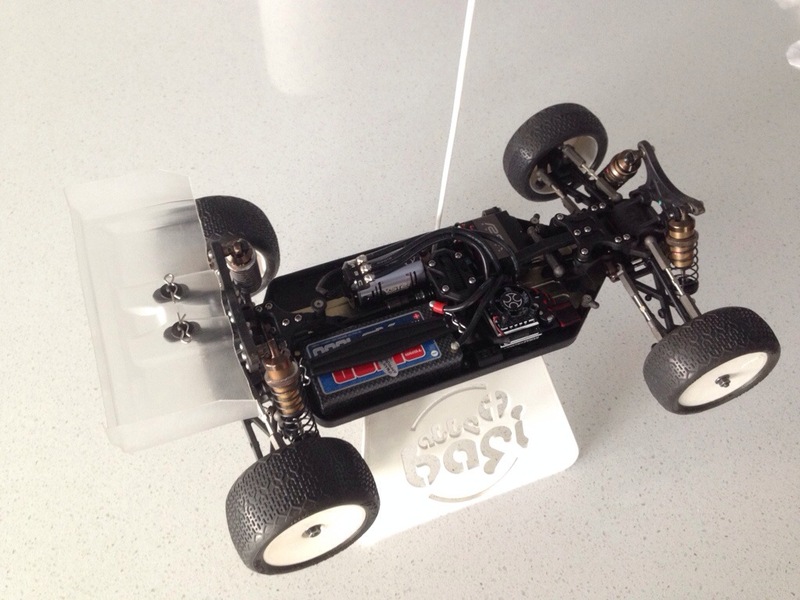 I think this new car is a great new addition to the Kyosho 6 family and customers are going to love it. Thanks for reading and God Bless. Great Jaree, I’m waiting for my kit to come in hopefully in the next couple of weeks. Can u tell us what is stock kick up and anti squat without any shims? Also did the toe in chart carry over from the zx5? Nice. How are you liking the car? Loving the car. Ran it on carpet with the kit setup and it was phenomenal. Can’t wait for next race. Any chance of posting your setup sheet? That’s great Jared. My local track is very similar to ur local track. I’m hoping you post that setup. 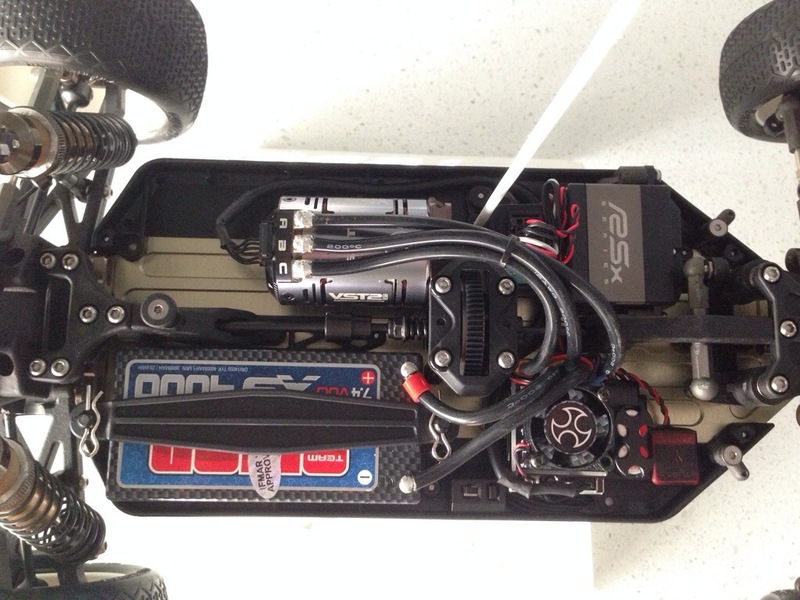 What conditions do the rear motor configuration work best on? What about when you use the front motor configuration? Thank you!! !